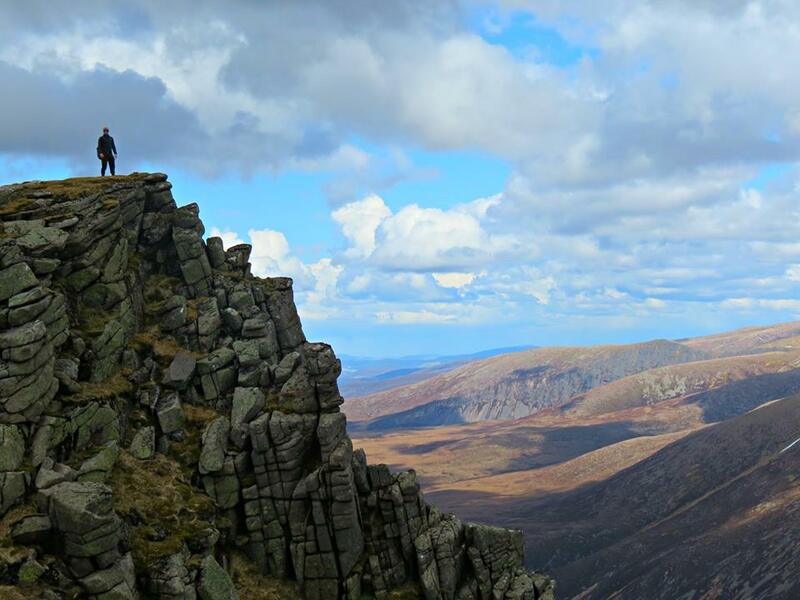 Micro Adventures - How to make the most out of being "too busy"
"I'm too busy" - A convenient and common phrase used by many, but more often than not it is linked to low levels of enthusiasm or laziness. Although sometimes in life there can be many obstacles and tasks that can get in the way of participating in the activities you are most passionate about, my advice is to try and find a happy medium and even incorporate your passion into your busy life. In the past I too have been guilty of using the phrase "I'm too busy" and although over the last few months it has been true in part with many activities such as weddings, birthdays, family visits, work and various other events. I have not managed to get out and commit to full days or weekends to go on an adventure, but have allowed a couple of hours and sometimes less to explore various locations while in the area attending these events. Sometimes it is just about being prepared for a spur of the moment activity, for example, I have my walking boots, jacket and a camera in the car at all times in case I stumble across any areas I wish to discover. An amazing website and application, a real must-have for anyone with an interest in sightseeing, adventuring, food, culture, tourism and more. The mileage feature integrated into Trover is simply GENIUS, by scrolling through the endless pictures from across the world you are sure to find something that interests you, and with its mileage counter at the side it can give you an idea of what is manageable in your time frame, or if for example you only want to venture 50 miles then you can scroll through until the counter reaches the 50 miles. 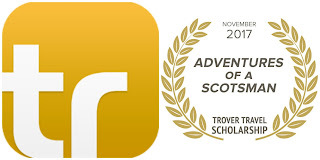 Anytime I am out on the road or visiting somewhere, I will always go on to my Trover app and see what is nearby. 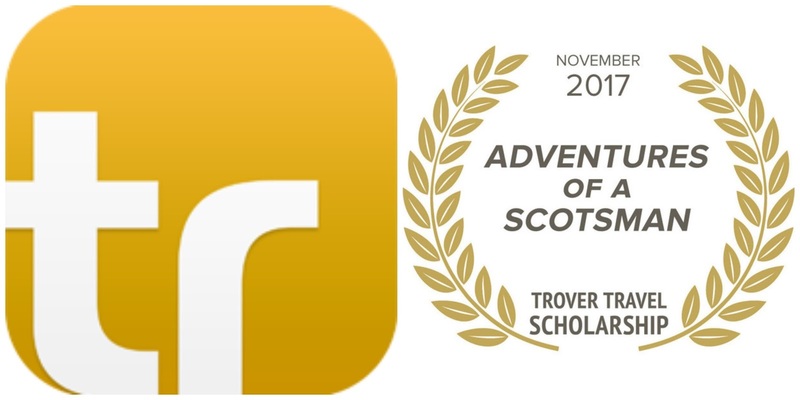 As well as having many different features, there is often competitions and giveaways, I was lucky enough to be awarded the "Trover Scholarship Award" for November and receive £500 in Expedia vouchers! So get yourself signed up, enjoy its features and be in with a chance of winning some great prizes. 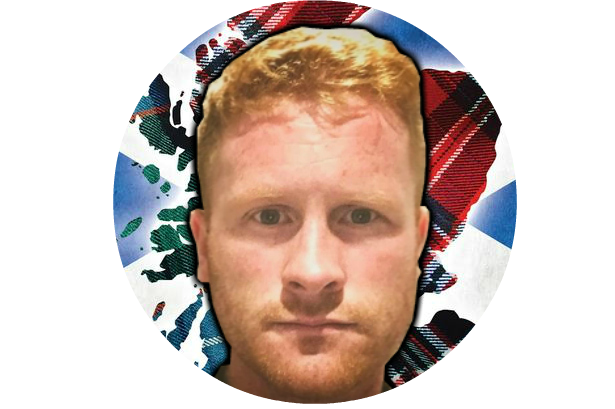 If you would like to read the article on me for this award please click here. This really is an all-in-one guide for all things adventure, as well as great places to eat and stay on the way. The book comes from the best selling and award-winning Wild Guide Series (winner of travel guidebook of the year 2015). 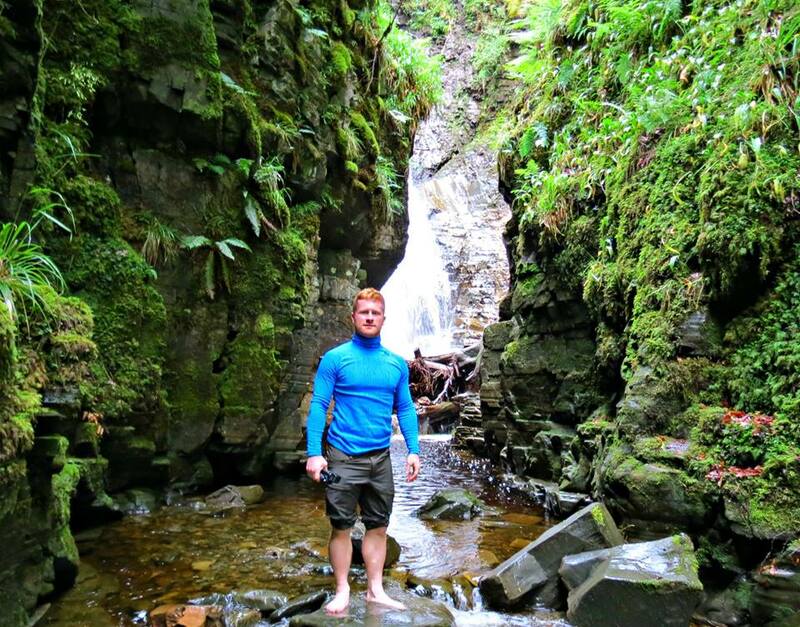 "Discover magical mountains and secret glens with shimmering lochs and hidden waterfalls, perfect for a summer swim. Explore lost ruins and castles, watch sea-bird colonies on dramatic cliffs or walk barefoot on white-sand beaches lapped by turquoise waters. Wild camp in flower-covered dunes and retreat to ancient inns with roaring fires and even warmer welcomes." The book is set out and displayed in a very clear and methodical manner, with sections set out by area, within each section, there's a numbered map that shows exact locations of every place featured in the book, a very good way to plan a day or more away. To make an order or find out more on this book click here. 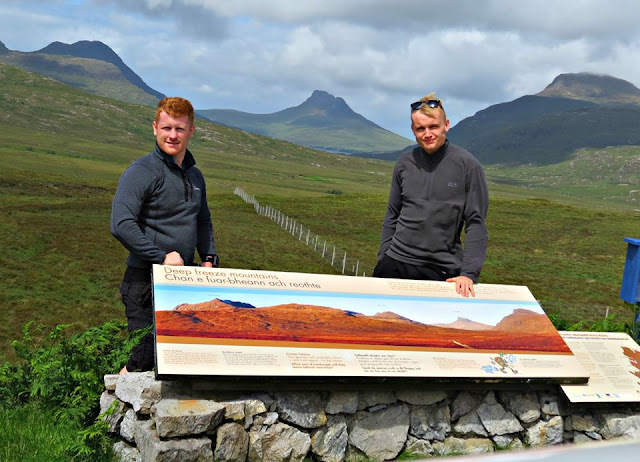 Walkhighlands' mission is to encourage the enjoyment of walking through being the best information source and social network for walkers in Scotland. 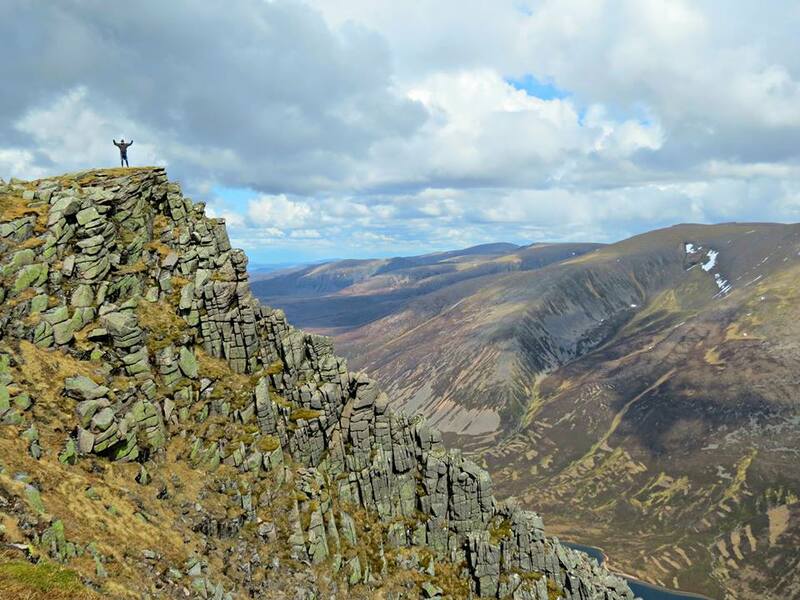 In doing so we also aim to help the small, local tourism businesses so vital to Scotland's rural economy through providing low-cost, highly-targeted advertising. 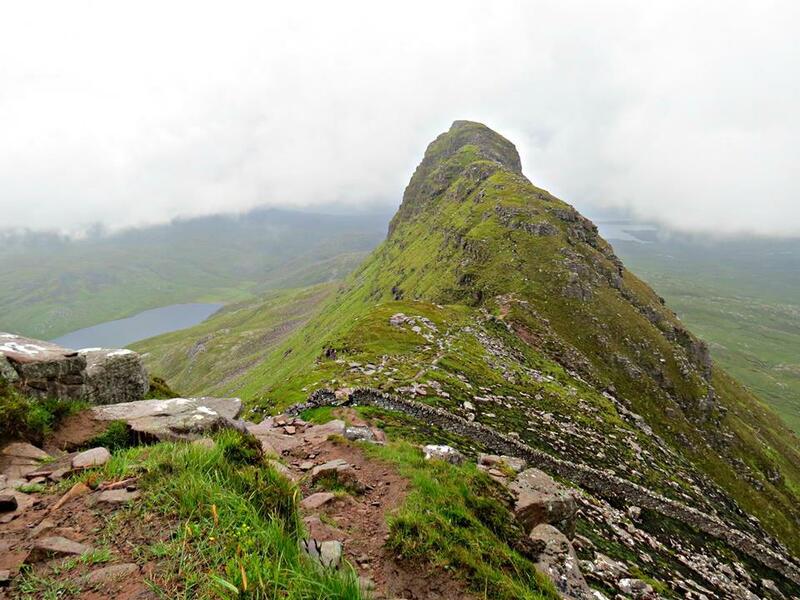 Walkhighlands is the busiest walking site in the UK and far and away the busiest outdoors website in Scotland, with 500,000 unique visitors checking in each month. 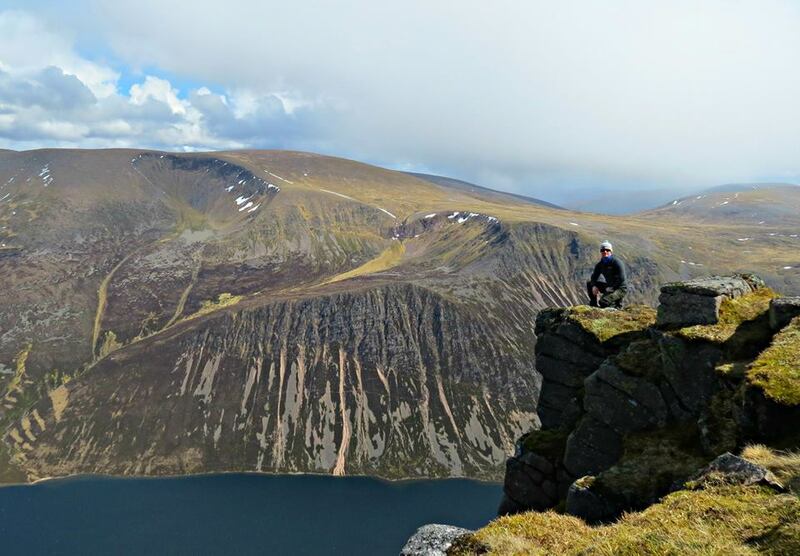 We are constantly expanding and currently feature over 2,000 walking routes including everything from detailed routes up every Munro to short woodland or even urban walks. Through our partnership with the Ordnance Survey, every route has a detailed map. We also feature podcasts giving the correct pronunciation and place-name meanings, a 3D visualisation of every route, gradient profiles, route downloads for GPS devices and much, much more. 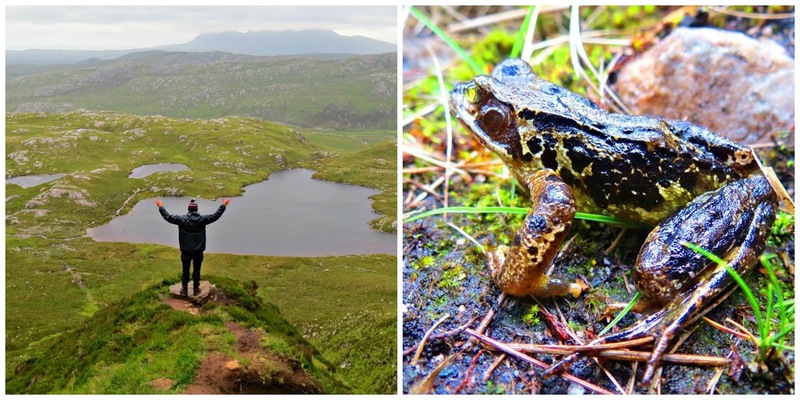 Our users record their own outdoors experiences through their personal 'walks diaries' and can share their walking stories, photos and videos on the routes and hill descriptions throughout the site. 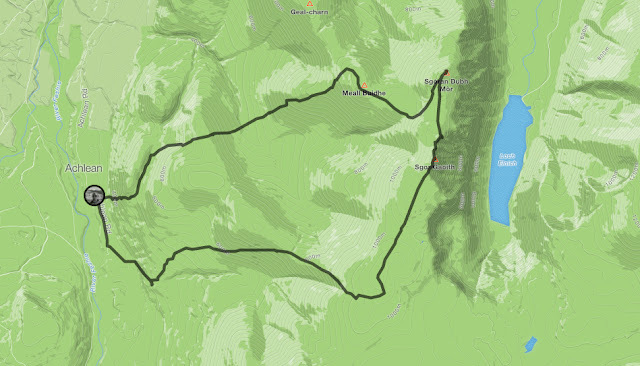 Users can even draw and share their routes on Ordnance Survey mapping using our unique GPS planner. 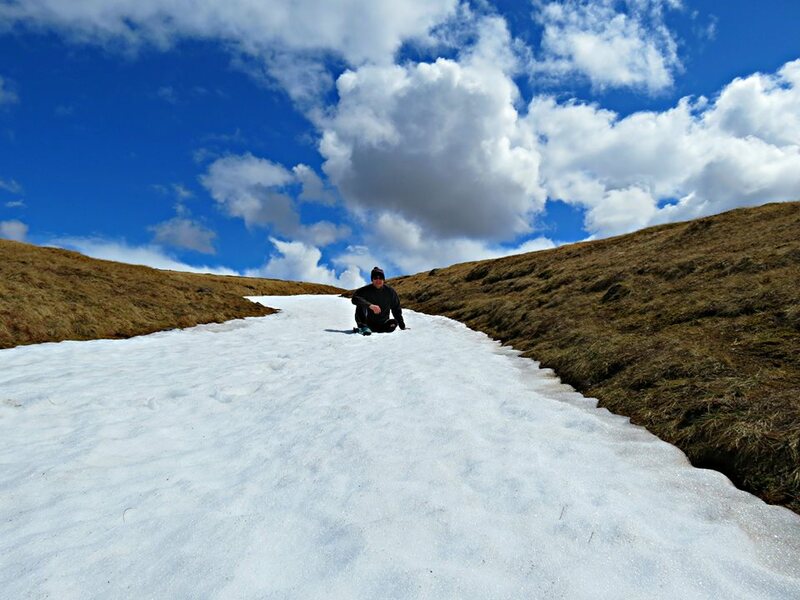 For those attempting a long term objective such as the Munros we provide interactive personal 'hill-bagging' maps to record your progress. All the features on Walkhighlands are free of charge for personal use. 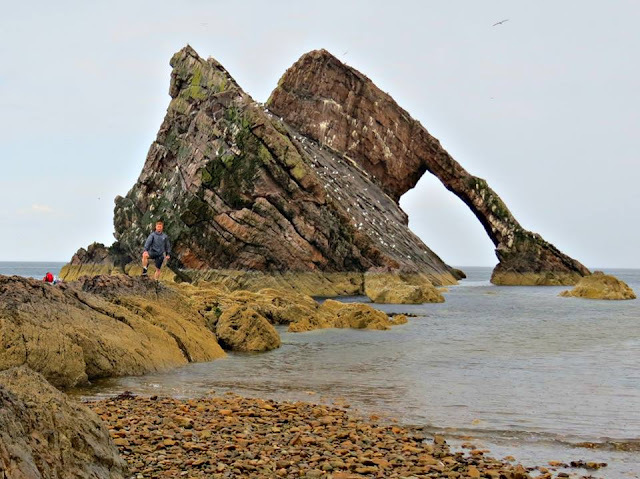 When over in Aberdeen shire we spent a couple of hours exploring the areas surrounding Bow Fiddle Rock, quite a spectacular rock formation just off the coast of Portknockie, the name comes from it's resemblance to the tip of a fiddle bow... believe it or not! It is somewhere I was planning to return for a swim on a warmer day until I realised the vast amounts of jellyfish in the water, so I think I will be giving that one a miss! Another option was to return and kayak through the arch and round to the next area we explored, named The Whale's Mouth, as it resembles.... yes you guessed it a whale's mouth. The Whale's Mouth is a 10-minute walk along the cliff tops, followed by a lengthy staircase back down to the shore. Take care as the stones can be quite slippy! 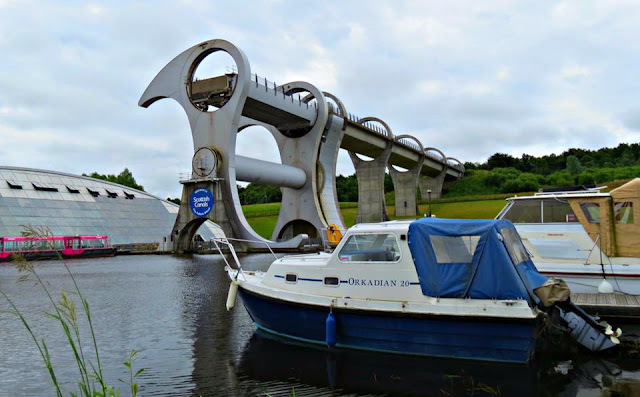 On our return journey from visiting family in the central belt, we took a detour through Falkirk and then onto Stirling. 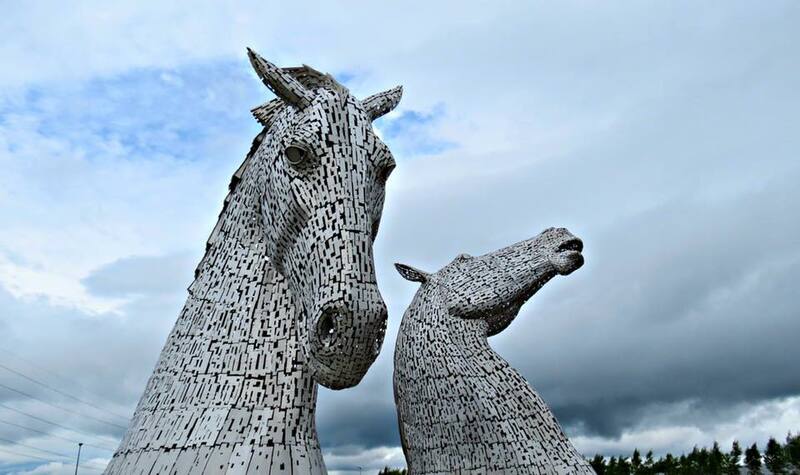 Our first stop was the famous Kelpies horse head sculptures located in Helix Park, a parkland project built to connect 16 communities in the Falkirk Council Area. The Wheel only uses 1.5kWh of energy to turn, the same amount as it would take to boil 8 household kettles! The 600-tonne gondolas hold 500,000 litres of water, enough to fill an Olympic swimming pool. The next trip was one that I had done before, but was around 15 years ago and was it definitely worth a 2nd visit. 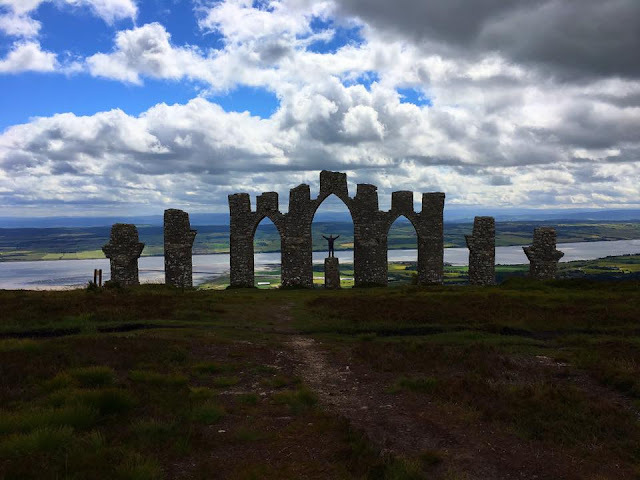 Whilst travelling North up the A9, we made a short detour off the main road to the car park at the start of the "Fyrish Monument walk", the walk is a fairly easy going 6km round trip with a total ascent of 292m, it offers breathtaking views from the summit and also offers some cool photo opportunities, even the dogs loved it! The Fyrish Monument is a prominent feature that stands on Fyrish hill near Alness. The Fyrish Monument was built in 1782 on the orders of Sir Hector Munro, a native lord of the area who had served in India as a general. As the local population were being cleared off the land they had worked for centuries by the Lords of the Land, survival was a problem and so it was built to keep the locals in labour. It was said that Sir Hector rolled stones from the top of the hill to the bottom, thereby extending the amount of time worked and paying the labourers for additional hours.....sounds like a nice guy if you ask me! It represents the Gate of Negapatam, a port in Madras, India, which General Munro took for the British in 1781. As I finish today's post, I would like to challenge you all to stop using the phrase "I'm too busy" and get more out of life.....unless you really are "too busy" of course! For this adventure we had packed items such as: a Caricook stove, survival bags, sleeping bags, compass, tent and a bottle of Glenmorangie whisky 😋. 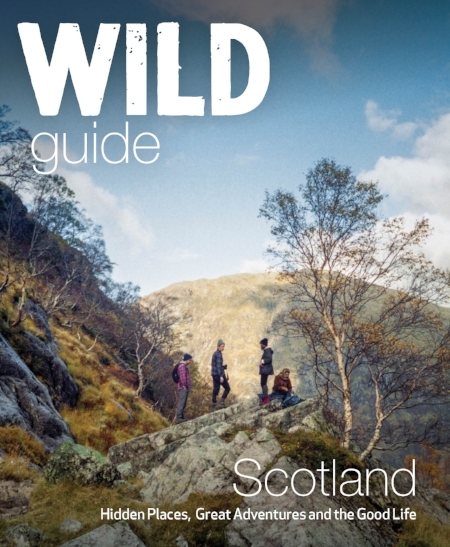 Another item which i will be carrying on my adventures from now on is the brilliantly written 'Wild Guide: Scotland' you can also click on the link if you would like to find out more on the book or make a purchase, i think i paid around £16.99 from Waterstones and it really was a worthy purchase. We set off on our adventure at approx 08:00 on the Saturday morning and our first stop would be at Costa coffee in Inverness to purchase a couple of takeaway cappuccinos. 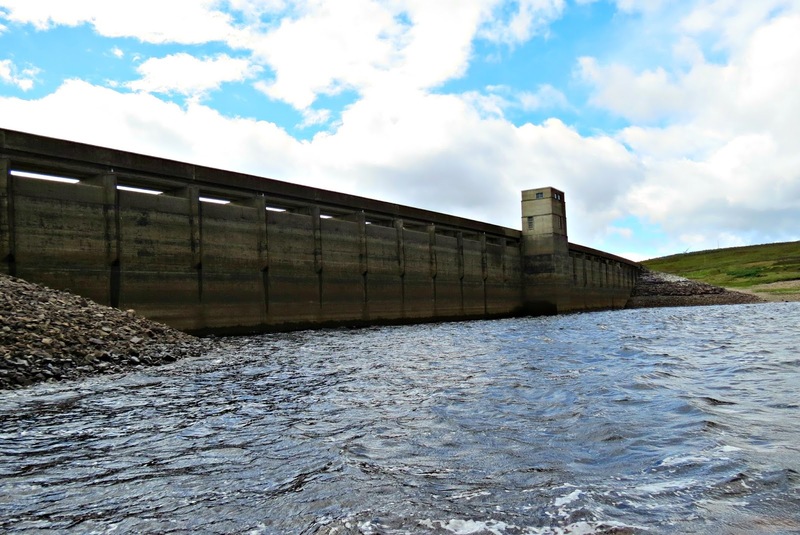 After travelling 35 miles North West from Inverness we came across our first stop which was actually an unplanned one at Loch Glascarnoch Dam, by the Alltguish Inn. We made the short walk across the dam and climbed down to the lochs side, there wasn't much to see here, so we took a couple of photos and then set off back to the car, not exactly a tourist attraction but we thought it was worth a quick look, even just to stretch our legs for 15 minutes. Next stop and the first planned one was that of Corrieshalloch Gorge, this was a further 10 miles along the road from the Loch, unknowing to me it would be very easy to pass the turn off if you were not paying attention to the signs, luckily for us Doofy was😲! After performing a small U-turn we were back on the correct route. Approaching the carpark there were a lot of vehicles, mainly motorbikes mounted by middle aged German men. 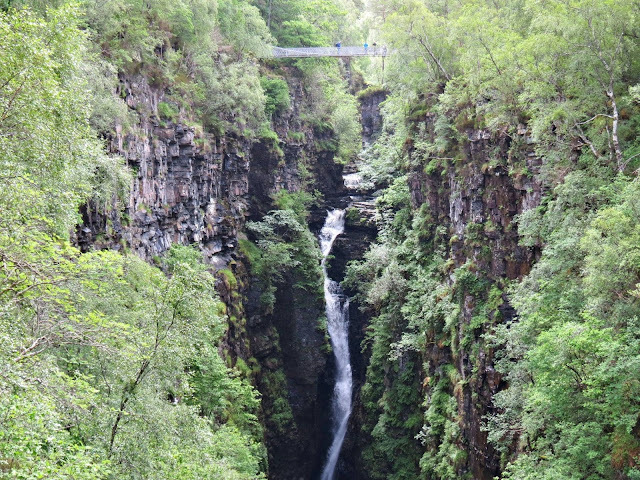 After parking up we set off on the short walk down towards the gorge, when we arrived the first thing we saw was a suspension bridge which crossed the gorge and had great views to a waterfall and the River Droma below. The river flows through a mile long box canyon and is named after the Gaelic for 'ugly hollow', however, this couldn't be further from the truth of this National Nature Reserve. The suspension bridge was built by John Fowler, the pioneering engineer responsible for the world’s first underground railway and joint chief engineer on the iconic Forth Railway Bridge. Unfortunately for us, we had to wait our turn to go onto the bridge as there was a sign stressing that no more than 6 people to be on the bridge at any time, at this point there were at least 10 Germans on the bridge ignoring those very instructions! Once we finally managed to get onto the bridge we took a few photos and then set off to the other side and carried on down the path to an extended viewing platform which overhung the gorge and offered brilliant views of the suspension bridge, waterfall and gorge. Due to the thousands of midges feasting on our flesh and the ever increasing German presence, we soon set off back to the car. Not that i have anything against Germans, but when they start to outnumber the midge population then it is time to move on. Continuing on our journey the next stop would be 12 miles away and was the town of Ullapool, here we had a short wander and ended up in a small cafe for some lunch. Being in front of Doofy as we entered the cafe, I led us to a table and placed my camera and some other items on the table presuming Doofy would keep an eye on the items, before turning to place my order. After ordering a chicken burger and chips I turned round to find someone sitting at our table, this was not Doofy, I politely explained this table was taken and believed Doofy would be joining me any second, as I was explaining this i caught glimpse of Doofy perched on a seat at a completely different table! 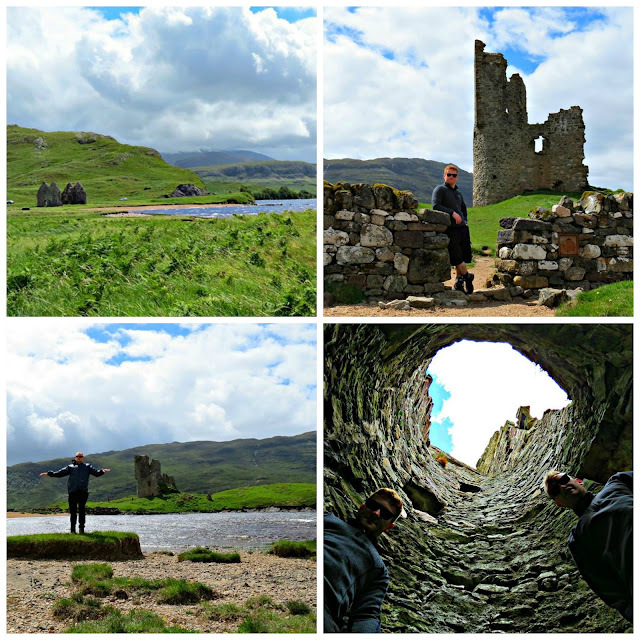 After finishing our lunch we travelled another 25 miles to Ardvreck Castle on the shores of Loch Assynt. The views on this drive were nothing short of spectacular and we were somewhat held up with multiple stops to gaze at the scenery. Ardvreck Castle was built by the Clan McLeod in the 16th century and would act as a good defensive site at the North Eastern side of the loch. The castle is easily seen from the road side but it is highly recommended that the short stroll across for a closer inspection is completed. Before going over to the castle there are a few notice boards explaining a bit about the history of the castle and such likes, this was an interesting read before venturing across to the castle itself, the castle offers some quirky little areas and interesting angles for photo opportunities, although some gentle climbing is necessary to appreciate all the areas available. The wind at the castle was only describable as "hurricane-like", we were now thinking that camping on the summit of Suilven was probably not advisable nor possible! The thought of our tent being blown away either before pitching or with us in it and landing in a loch several miles away was now starting to run through my head. 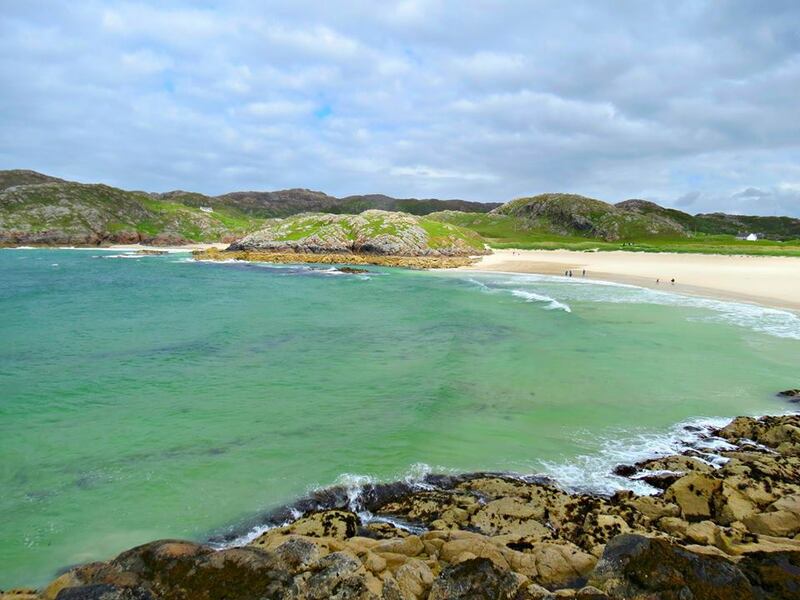 Arguably one of the most beautiful beaches on mainland Scotland was to be our next destination, Achmelvich Beach. 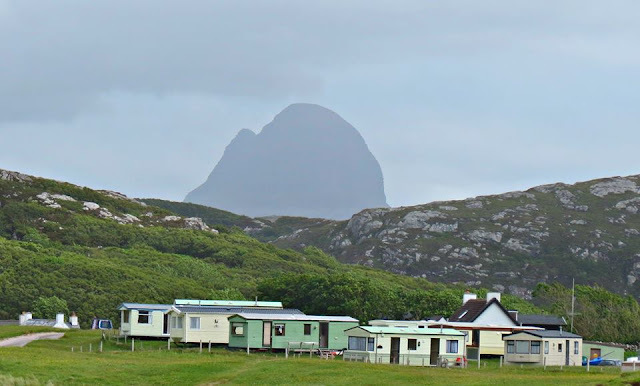 By this point, we had a few sightings of Suilven, an imposing presence within this area's landscape. This part of the journey was 13 miles in total, although once you turn off by Lochinver, the road gets very narrow and slow moving, we were even held up briefly by half a dozen sheep at one point. Arriving at the car park you will see Achmelvich Beach Youth Hostel close by, I haven't stayed here myself but heard it was a fine hostel. There's around a 5 minute walk from the car park to the beach itself, we did notice a path off to the right where some other tourists were walking but we carried on straight ahead to the beach. We were welcomed with yet some more strong wind in our faces and the pleasant sight of the whitest of sand I had seen for a long time, the water was clear and mainly turquoise in colour, like something from a Caribbean island, yet we were still in Scotland, the cold wind and cloud in the sky were a constant reminder. The picture below showing Suilven in the background, no matter where you are you always feel that Suilven has it's eye on you! We spent quite a while walking on the beach and climbing the rocks surrounding the sands, the sun did make a very brief appearance, for all of maybe 30 seconds and it really did emphasise the beauty of Achmelvich Beach. It was a pity that the sun never lasted and the sea was bloody freezing, as we would of both loved a swim but it wasn't to be. It was now about 15:15 pm so we decided to return to the car and make the journey to Glencanisp Lodge. I had read that it is worthwhile driving to the lodge and parking the car in the grounds of the lodge, this would cut a couple of miles off the trip and after climbing Suilven it would be a welcome bonus. Once we had parked up we got all of our gear out the boot and set off towards the lodge. After around 15 minutes of walking we noticed the dark clouds were close behind us, they seemed to be travelling in the same direction as us, well of course they were it's bloody Scotland! 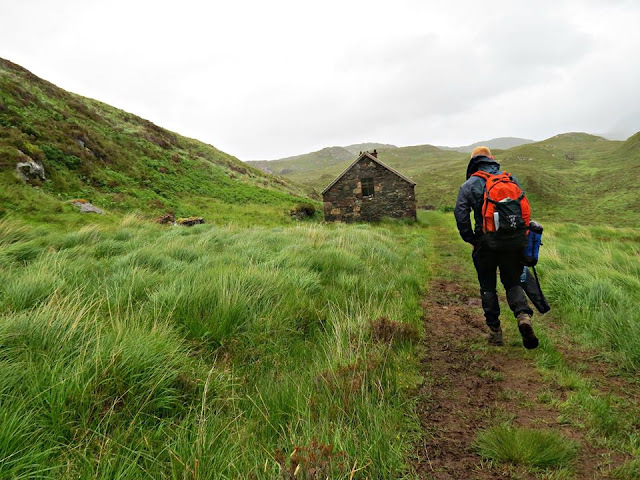 The rain had started, but it was only light and nothing to worry about, after around 45 minutes of walking time and 3.8km along the track we reached Suileag Bothy, keep an eye out for a track bearing to the left as you need to take this if you wish to visit the bothy. We arrived at the bothy just in time to avoid the downpour and by christ, it was a downpour! The views of Suilven were breathtaking although limited due to the low lying clouds. Entering the bothy we presumed we would be alone, but there is an older gentleman set up in the corner lying down in his waterproofs, we never actually got to know his name but we knew he was from Bournemouth, so we will just call him "Bernard" from Bournemouth. We chatted with Bernard for around 15 minutes and he explained he "had been out here for a week fishing as the lochs are some of the best in the UK, if not Europe" yet we saw no fish, smelt no fish or were offered no fish! Maybe Bernard had eaten it all as the weather was too bad to go fishing. 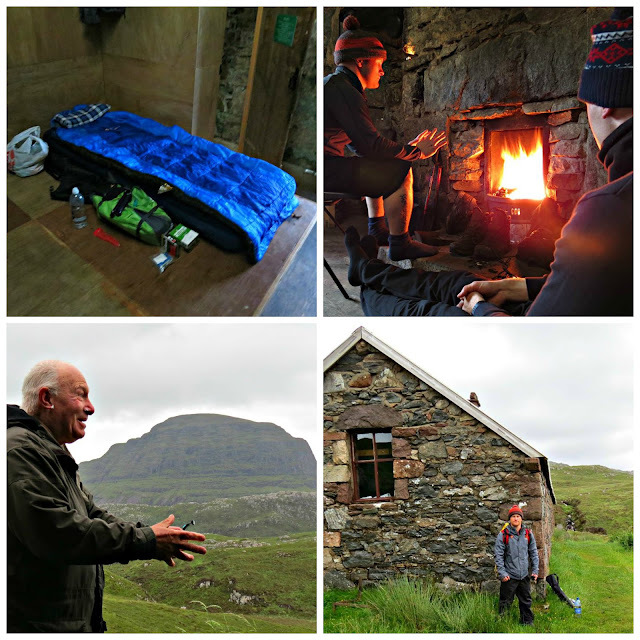 After chatting for a while we headed through to the other part of the bothy and set up for the night, 5 minutes into blowing our airbeds up, Bernard appeared and chatted at us, (not with us) for around half an hour, then he decided to "have an early night". By this point, we had the fire burning, the whisky out and the caricook stove heating up for our tinned sausage and bean mix Doofy had bought from the Tesco in Ullapool. With the rain now rattling off the bothy's tin roof like a sentry gun firing at a tank, it just added to the atmosphere of a night out in the wilds staying in a bothy in the Scottish Highlands. A short while after the bottle of whisky had been devoured we settled down for the night, although we had the fire roaring most of the evening it soon became bloody baltic as we both woke up on different occasions realising this! The morning was upon us and the low-lying clouds had lifted but it still wasn't a good day by any stretch of the imagination, but fortunately, we could now see Suilven again. The first task of the day was to make the coffee, I made the short journey across to the burn to collect some water for boiling, I then set up the stove and started to boil the water. As the water was boiling I made the start to pack away all my gear, then as I turned to check on the water I see Doofy throwing in the coffee to the pan! Now I am sure it will still taste fine, although maybe a little burnt, but it just has me asking myself the question....."Does he put coffee into his kettle while he boils the water at home?" Once we had finished our coffee, had a bite to eat and packed away all our gear we headed for the exit, Bernard was in the middle of shaving in the room next to us 🤔! We headed over and presented him with a Tesco bag full of leftover ingredients which we were not going to need for the rest of out trip, he accepted the bag like a kid getting a selection box on Christmas day. We made our way to the door and Bernard followed us out, his face still with bits of shaving foam on it and his razor in hand, telling us about the weather and how we needed to take our time as the weather was going to be "pretty fair". We said our goodbyes and made our way towards Suilven. 10 minutes along the track we were starting to think how hard a climb it would be with all the gear on our back, so we took a calculated risk and hid our rucksacks behind a rock off track and covered it in heather, of course we made sure we carried the essentials on us like the car keys (incase our bag was robbed), map, camera, GoPro, survival bag, food etc. 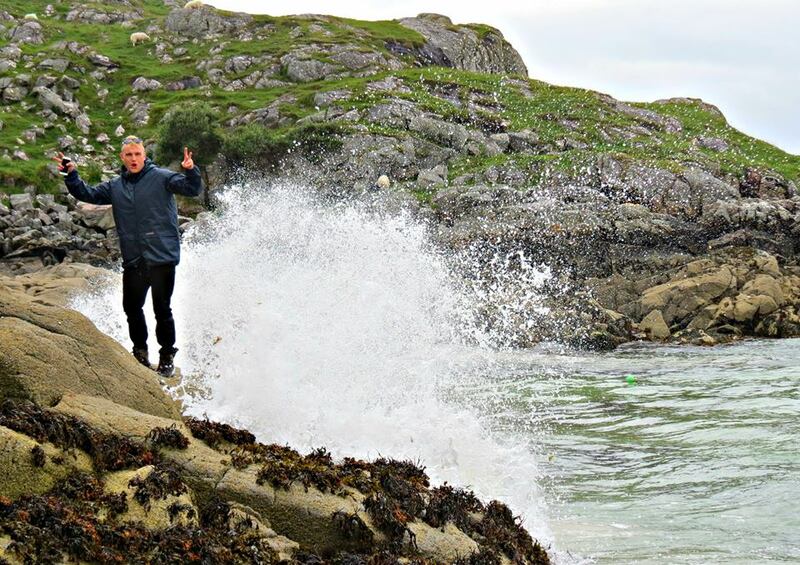 The rain had now started and Bernard's words of "pretty fair" seemed far from being true.... The moral of the story......"Never trust an Englishman predicting the Scottish weather!" After walking 2.5km from the bothy and 6.1km overall. 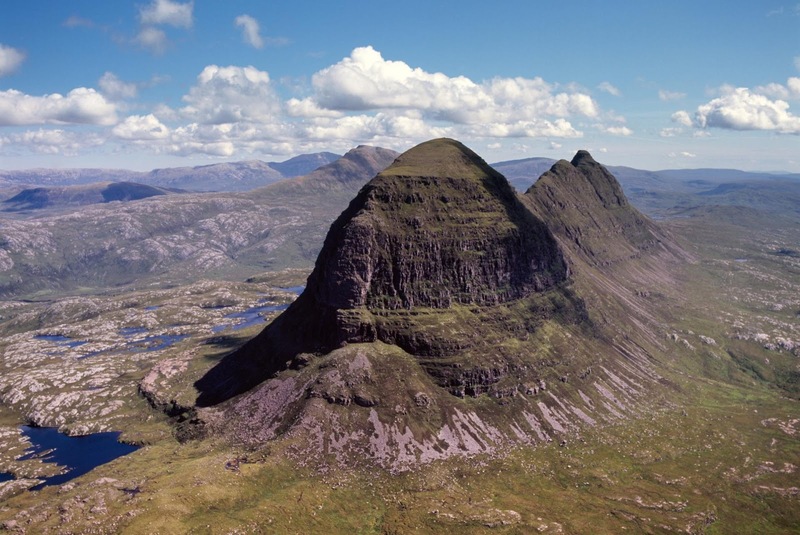 We were now at the stage of turning right and heading directly towards Suilven. Passing a small digger and several bulk bags filled with rocks for path repairs we were slowly edging closer to the foot of Suilven. Half way up a small steep hill Doofy decided he was needing to "lighten the load", so he veered off to the side of the track and squatted down to "lay a "brown one". Not an unusual thing to do whilst out in the wilds overnight I suppose, so I decided to go sit on a stone by the track at a distance not to encroach on his privacy, although I had not taken the wind direction into consideration and the position I had taken to protect Doofy's privacy had immediately seemed grossly inadequate 😷😷😷! Moving forward from that horrific experience we were now approaching the foot of Suilven, having walked 4.6km since the bothy and a total of 8.3km, we were now at an elevation of 283m and just beginning the hard work of the ascent. As we moved closer to the top of the hill the hiking became more of a climb, with steeper and tougher sections becoming more frequent, Doofy's head for heights was starting to be questioned. Another 1km of hard going hiking and we had finally reached the lowest point of the "top of the hill", by this I mean we had reached a flat area on the ridge of the hill and now would make our journey across the hill whilst still ascending but at a much gentler rate, we were now at an elevation of 558m, 5km from the bothy and a total of 9.4km of walking distance. There was not a huge amount of "safe areas" on the hill and was still quite windy with low visibility in parts, this culminated in Doofy starting to feel a bit dizzy and panicky at how he was going to descend some of the tricky parts which we had recently navigated. 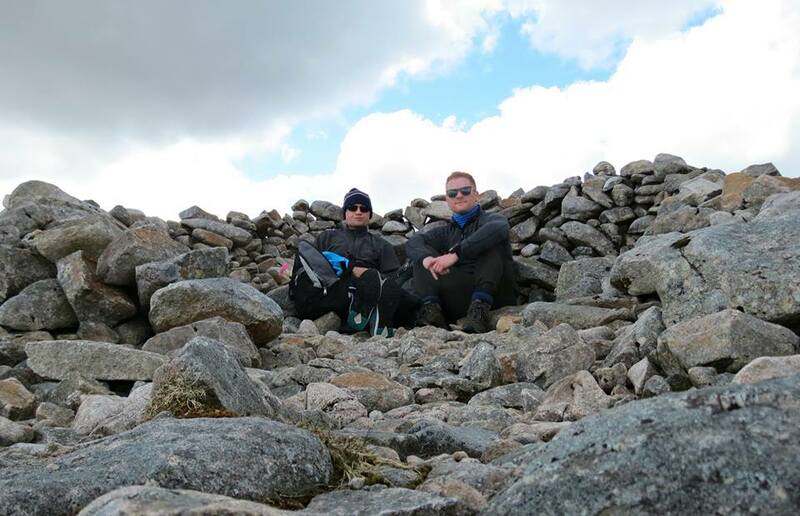 We took this opportunity to sit down for lunch by a dry stone dyke, yes a dry stone dyke was up here, I have tried to google the reason behind this dyke but was not able to come away with a credible explanation. Unfortunately, Doofy was feeling rather queasy and couldn't manage his lunch. I quickly had a bite to eat then made my way towards the summit of the hill. First up was a steep climb over what I would describe as a mini hill on top of the hill, once I reached the top, I walked across the flat area and reached an area that required me to climb down followed by a steep climb up yet another mini hill. The wind had really picked up by this point and the mini hill was starting to disappear, so I sat down and waited to see if the hill would reappear, after 5 minutes or more I decided to backtrack and join Doofy for our descent. I had reached a highest elevation of 600m and at a total distance of 9.6km and 2hr 14min of moving time! 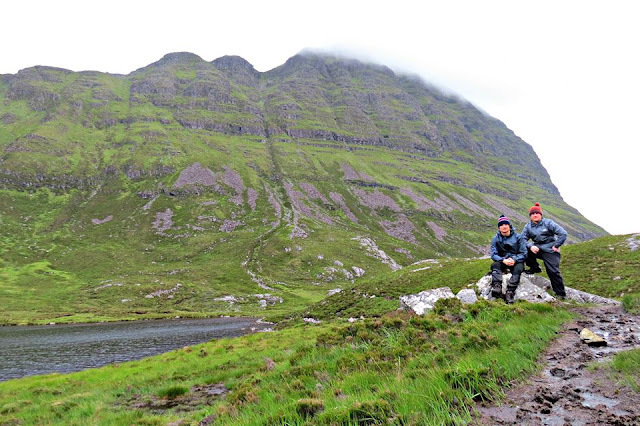 The walk back started off quite tricky until we navigated our way to the foot of the hill, then a repeat of the track we had earlier walked and collecting our belongings as we put in a shift to get back to Glencanisp Lodge and the car. When We did finally arrive at the car, we had a moving time of 4hr 24min and a total of 19.5km walked. Our elapsed time (total time) was 20hr and 59min. Before we drove off we decided to make a quick trip to the "honesty shop" close to the car park, as we entered Doofy had read the menu on the wall and after checking his pockets for money requested £1 for a tin of juice, I had about £2.10 in change so i bought us a tin each. As I drank my juice and browsed the various items for sale such as t-shirts and other bits of memorabilia, I turned round to see Doofy making himself a coffee, now I know he had no change and I only had about £2.10 in change and of which £2 was already spent and I was fairly sure an honesty shop would not have card facilities. David: "Doofy what you doing?" Doofy: "Oh I thought the coffee was free of charge"
David: "It's a bloody shop, of course it's not free"
"TEA, COFFEE AND SOFT DRINKS £1 EACH"
By this point, it was too late to return the coffee and he would have to live with the label of "an honest thief" forever more! We then headed for a pub in Lochinver, both ordering and devouring a plate of fish and chips and yes this time Doofy did pay for it. After our bellies were sufficiently full we started on our route home but with a further two stops to be made. 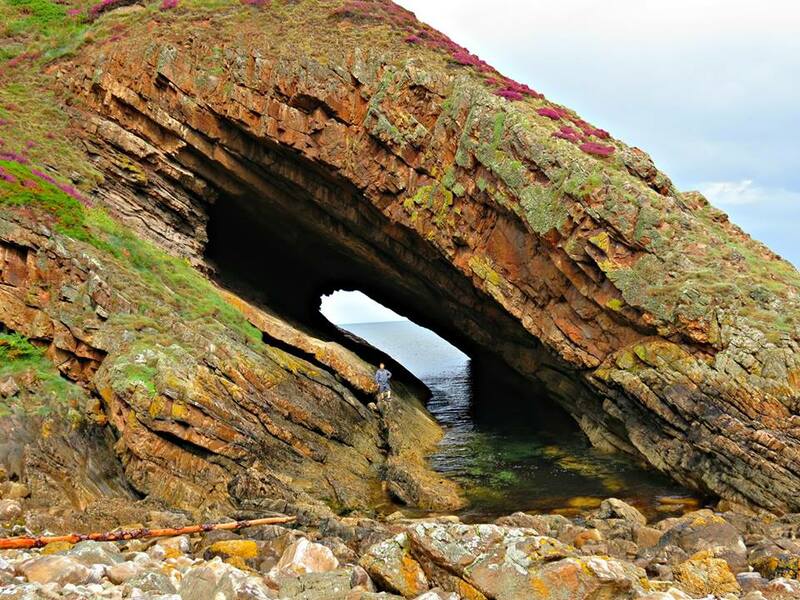 The first was the Bone Caves around 4km South of Inchnadamph. After parking up we started the 2km walk towards the caves, first passing a lovely wee waterfall and then winding our way through the limestone valley and reaching the caves around 25 minutes later. 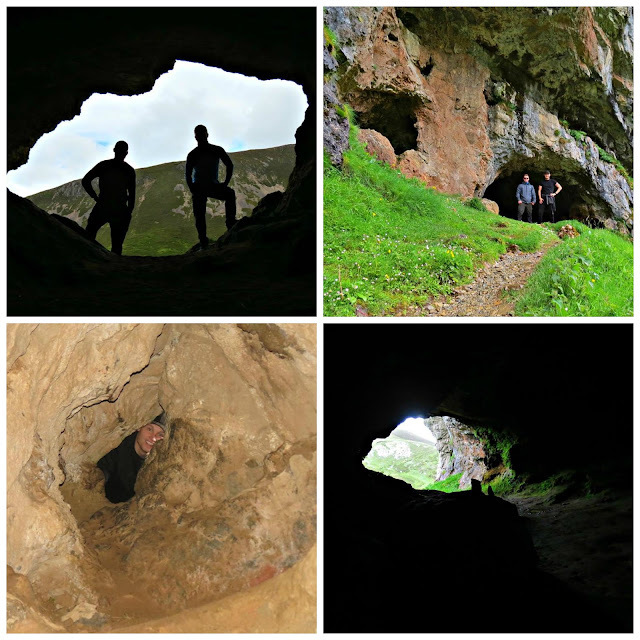 There are 4 caves to explore and there is plenty of room for a good few people to go in at once, a torch for exploring is recommended. There is a small hole which connects two of the caves, children and possibly smaller adults could squeeze through this gap, although a quick wave from cave to cave is recommended. 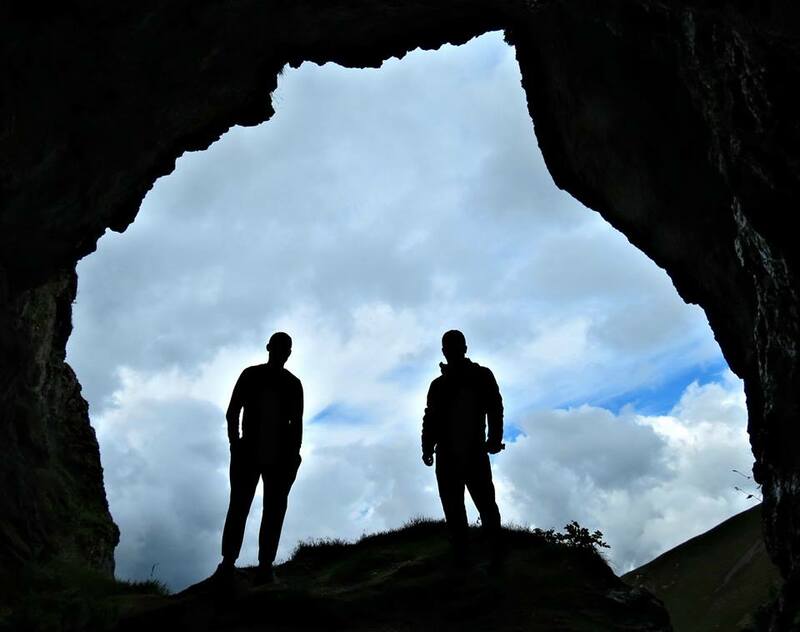 The "Bone Caves" are named after the huge amount of bones excavated from them, these include wildcat, lynx, bear reindeer and even a human skull! Click on the link above to read more about these findings. Returning to the car once again, we had one more stop and this was Lael Forest Garden. 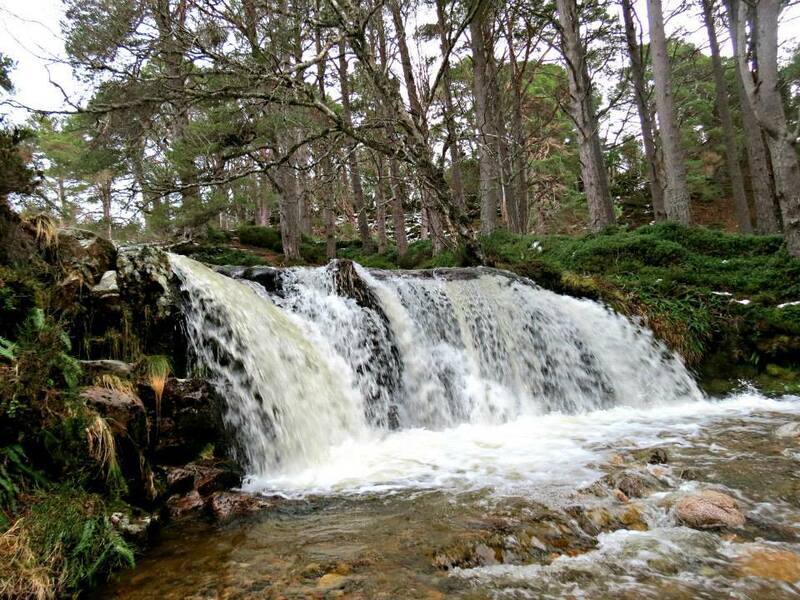 Here there are over 200 different species of tree growing, which can be seen by various short walks around the gardens, but more excitingly another waterfall was close by. After spending 10 minutes close to the waterfall we decided to call it a day and head for home. Both shattered from a long but very enjoyable adventure. Following a great spell of weather (usually during days I was working - bloody typical! ), we finally got a nice day on my day off, which was a Sunday. There was some cloud scattered across the sky but it was mainly sunny. I had planned to visit Sgor Gaoith (pronounced: Sgor Goo E) for quite some time now but the Scottish weather was against me every time I was free to attempt it, but today we were going for it regardless! The first task of the day was to get dressed for the occasion - A pair of Berghaus hiking boots, a good set of walking trousers, a t-shirt and a Berghaus fleece, the next task was to get the bag packed with all the essentials for a hike into the Cairngorms; Sandwiches, crisps, chocolate and juice. Once the essentials were packed i started on the "optional items" like a map, compass, waterproofs and various other bits of clothing and safety items - please don't use my advice for a day out in the hills 😂! Around my neck, i carry my trusty Canon camera and in my hand is a GoPro Sessions mounted on a 3-way pole thingy ma jiggy. To check out a short clip of our trip and the awesome views please visit my YouTube page: AdventuresofaScotsman - or a direct link to the video here. So now I'm all set and raring to go, first of all, a short drive to Aviemore to pick up "Doofy" if you have seen the film Scary Movie you will understand 😆😆😆! I arrive at Doofy's house and sure enough he is not ready yet, however, i do notice he is wearing MY shorts (not even sure how he came into possession of them) also he's sporting a nice set of Adidas trainers, although they were adequate enough for maybe a game of badminton, but a venture into the Cairngorm Mountains - NO! Now are you are beginning to understand the nickname? Once we sorted Doofy out with more suitable gear we set off. We arrived at Achlean on Glenfeshie Estate and parked the car, first off we have a short walk along a tarred road before veering off to the left on a rough path through the heather to start our ascent, after around 20mins of walking we took a 2 minute detour for our first stop - a lovely scenic waterfall, I have been here a number of times but I took the opportunity to introduce Doofy to the Allt Fhearnagan waterfall. As we sat and enjoyed our lunch there was an ominous black rain cloud that had appeared over our head (approaching us in the picture), we were prepared to get soaked 😭 but somehow it passed overhead without a single drop of rain, thanks to the rain gods for that! After essential food refuelling we set off for Sgor Gaoith, an easy going 2.2km or 1.37mile walk was all that stood between us and our destination. The walk across looked fairly flat with a gradual elevation, but after a short while we approached a hidden down hill followed by an uphill, this was no big deal or at least it didn't feel like it as the excitement of getting to our destination was growing with every step. Within this "half pipe" section we met a group of around 15 walkers, all who appeared to be kitted for a day out in Antarctica, Doofy was hoping they never spotted his Adidas trainers! 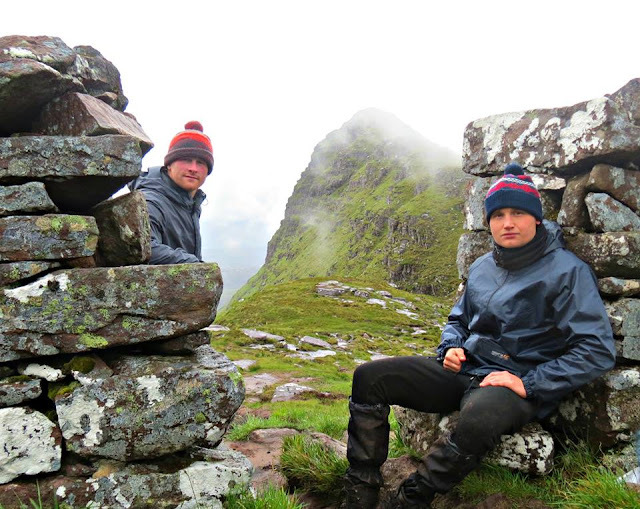 Shortly after this, we had reached Sgòr Gaoith after 1hr 52min, reaching an elevation of 1118m and at a distance of 8.7km or 5.40miles. The views were absolutely spectacular, with monstrous steep cliff faces over looking Loch Einich, we would spend a lot of time here taking in the views and posing for several pictures, this was also where the majority of the GoPro filming was used for the video.